Vote for the helvetica effect …. So we’ve talked before about the helvetica effect. About how much we love them, and how their new album will blow your socks off. 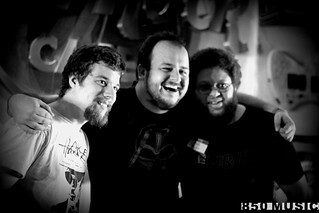 What you may not know if they won the regional competition of Hard Rock Rising 2013 that took place at the Destin Cafe. Winning the regional competition means that they move forward to an online voting round, and they need your help. A vote for the helvetica effect is not only a vote for a top area band, but it is a vote for our area. 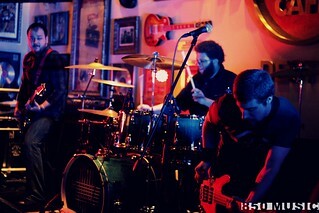 Every time we help a local band step beyond the local spotlight we are helping the entirety of the local music scene. Whether this is the first time you’ve ever heard of the band, aren’t a hard rock fan, or just don’t do the online voting thing; we’d like to encourage you to vote for the greater good of our music scene. These bands are competing for the chance to play Hard Rock Calling in London as part of a World Tour, make an album and video with Hard Rock Records, and win new gear! Listen and vote for your favorite. The Top 25 will move on to be reviewed by an industry panel to choose the winning bands. Remember, you can only vote for one band this round, but you can continue to download as many FREE songs as you want. Voting ends May 1 at 4 pm EST. VOTE NOW! This entry was posted on April 23, 2013 by 850music in Posts.